When CRKT team up with Ken Onion, only one thing can really happen as a result – pure magic. This is clearly showing through examples such as the CRKT Onion, and now also the CRKT Ripple. This knife is not only noteworthy for its beautiful design and ergonomic handle, but also for the quality of the craftsmanship that goes into building each and every single one of these blades. This makes the Ripple a really solid every day carry knife that can be used in a wide variety of situations and jobs from box cutting (get rid of that razor box opener now!) to performing camp chores, you can really do it all with the CRKT Ripple. Just looking at this blade, you can tell that it is nothing but quality and once you realize that it is a Kershaw, well then you definitely know that this is 100% quality. Now I am a huge fan of Kershaw (you may or may not have noticed) and especially a huge fan of their folding knives. That is why I was not hesitant at all to give the Kershaw 1990 Brawler a go and see if it lives up to my previous Kershaw’s, and you know what? It passed with flying colors. This truly is a really nice knife and a great piece of equipment for the price ($30 roughly). 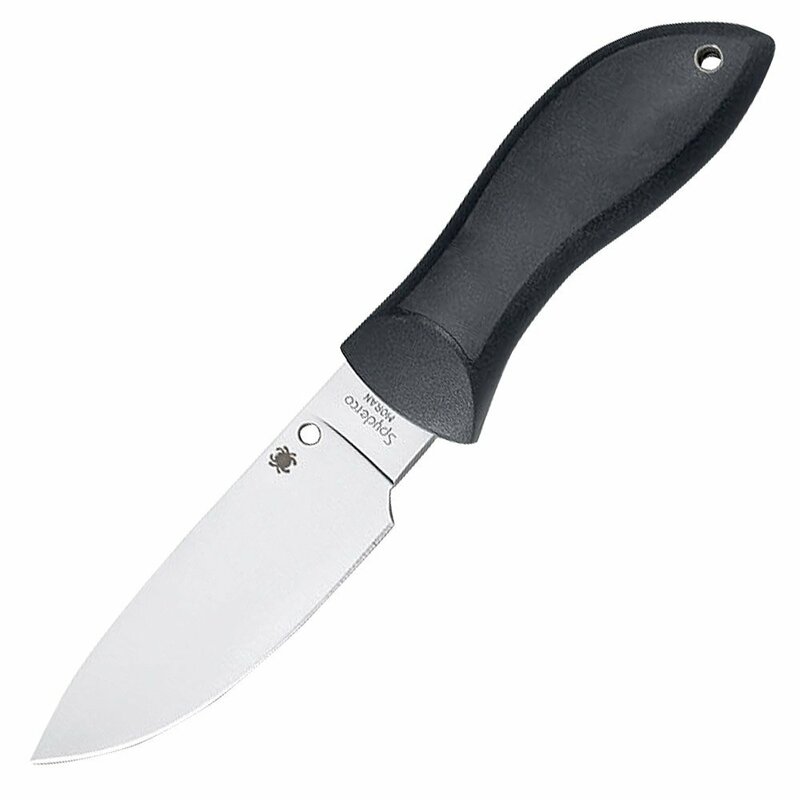 The Kershaw 1990 Brawler sports a 3 and a 1/4 inch blade with an overall open length of 7 and 3/8 inches.This allows the blade to be suitable for performing not only heavy duty tasks but also those more delicate jobs that require a knifes sharp touch. The blade is made out of high-quality 8Cr13MoV steel which can keep a nice edge and is not a type of metal that you are going to have to spend all your time sharpening. Furthermore, the metal is really tough and robust and is able to take a fair beating without chipping off or breaking. This is a tanto style blade which makes it the ideal shape for piercing tasks as there is plenty of metal surrounding the tip which supports it, allowing you to get the maximum power when piercing. Also, the Brawlers straight bell is really good a cutting and slicing and will handle most materials you through its way with ease. The Brawler’s handle is no different from the rest of the knife – top notch quality. The way the handle is angled allowed it curve into your palm which then allows you to get a really solid grip on the knife. This ensures that you have a tight grip on the knife at all times. 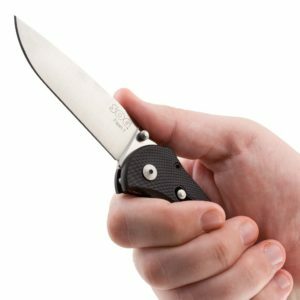 As this is an assisted opening knife, it features Kershaw’s famous SpeedSafe technology which allows you to easily open the blade with one hand. Furthermore, it features a finger flipper as well which also acts as a finger guard when the blade is open, giving you that extra level of protection. The Kershaw Brawler also features Quad-Carry Technology meaning you are able to position the clip on the knife for tip up or down or left and right handed carry. This truly makes this knife a great everyday carry. Overall, The Kershaw 1990 Brawler is just that, a real fighter. This is one solid and robust knife which is going to last you for ages and is a perfect Every day carry knife for a person on the budget, in fact, I would nearly go as far to say that if you can get it for around $30 (which you can if you shop around) it would be the best folding knife for the price. However, if you were looking for a knife which was a bit better quality, then perhaps I would recommend either the Kershaw Rainbow (looks cool as well!) or the Kershaw Blur. CRKT make some of my favorite folding knives out there at the moment due to the quality and craftsmanship that goes into each and every one of their blades. I am not the only one who is a fan of these strong and robust blades – have a look around the internet and I am sure you will find heaps of positive reviews, raving about the high quality you find in a CRKT folder. But due to their wide and diverse range of options, which is the best CRKT folding knife? Well, I am hear to answer that question and have listed my favorite top two CRKT folders below. When it comes to field dressing you are going to want a really sharp knife, and one that is reliable and is going to be able to maintain an edge, season after season. Enter the Spyderco Moran. This trailing point blade, in my opinion, is perfect for field dressing and definitely one of the better ones out there for the price. This blade is made in the Bill Moran tradition who is considered to be one of the founders of American custom knifemaking. If you do find a handmade moran out there, you will expect to pay in excess of five figures for it – they are not cheap and for good reason. With his dedication and quality in mind, Spyderco set out to make one hell of a field dressing knife with the Moran and they achieved just that. The Spyderco Moran features a 3.875″ length blade which puts it at the perfect length for skinning in my opinion. The blade is made out of high-quality VG-10 steel which is able to keep a really nice and sharp edge. Furthermore, the blade is tapered, starting out thick near the handle and thinning down to a fine point on the pointy end. This blade is razor sharp right out of the box and I only needed to spend a few minutes sharpening it to get it to my ideal shaving-sharp level, but most others it will be perfect for field dressing straight out of the box. The blade comes in two styles, an up sweeping bowie style knife and a drop point style blade. In my opinion, I prefer the drop point just because I find them easier to sharpen but then again, that is just my opinion. I was actually really surprised with the handle on the Moran, as it is a really nice and sturdy grip. The handle is an injection-molded fiberglass-reinforced nylon handle with rubber inserts which really does allow you to get a tight grip on the blade and maintain it, even when wearing gloves or in the rain. The handle and the blade, are both similarly weighed which allows for a perfect balanced knife and really does feel great. The sheath that it comes in is also pretty high quality and is not going to be affected by weather which is a problem that you may find you get with some other types of skinning knives. Overall, the Spyderco Moran is one of the best field dressing knives out there at the moment. The team at Spyderco have really outdone themselves with this knife and its quality is far superior to many others in the field. As always, though, I recommend you go down to your local knife specialist and try out this knife for yourself before you buy it to make sure that it is perfect for you. If we are going to talk about quality, then we need to talk about CRKT and more specifically the CRKT Drifter. This brilliant every day carry knife will not only look great at your side but will also work really well. I was really impressed with this knife when I first got my hands on it because of how well it performed and felt in my hands. I have always been a fan of CRKT so I was sort of expecting a quality knife, but nothing quite this good. The knife comes in two models, a razor sharp edged one and a partially serrated one, making it perfect for all different types of tasks. Better yet, this knife is really affordable, costing you roughly $25 only. Aegis, pronounced ee-jiss is Greek meaning, shield/protection. 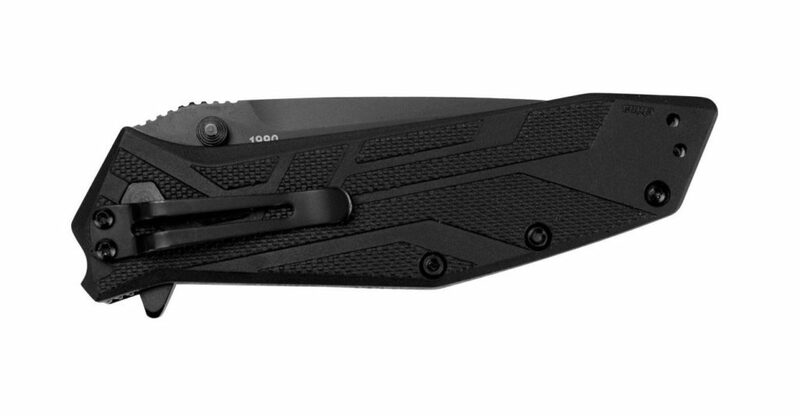 The SOG AEGIS Tanto lives exactly up to its name with a quality design and beautiful finish, capable of handling even the most difficult of tasks. This is honestly one of the toughest and most badass knives I have used to date and recommend this to anyone looking for a really good quality folder at an affordable price. You will fall in love with it from the moment you lay eyes on it with its digital camo, making it perfect for service men and women who are looking for a knife to match their uniform. If you have read any of my other posts on this site, you will know that we do a lot of folding knife reviews. This time, we are doing a comparison of the Gerber Evo vs the Paraframe. As these are knife “series” the two particular models we will focus on will be the Paraframe 1 and the Gerber Evo combo edge. Both of these folding knives are of exceptional quality (I have come to expect nothing less from Gerber) and are great every day carry knives that can suit a variety of purposes.